Jonathan Rea stormed to the fastest time in this mornings World Supersport Free Practice session, confirming his intentions for tomorrows race. 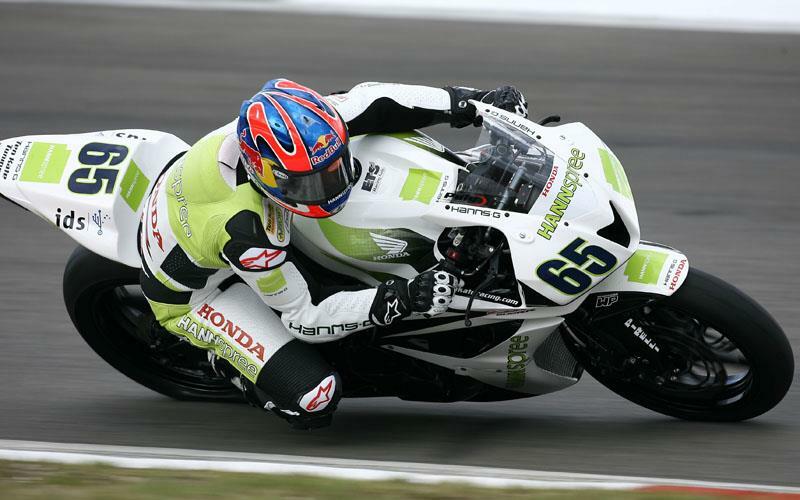 Onboard the Hannspree Ten Kate Honda, Rea finished ahead of team-mate and championship leader Andrew Pitt. Current pole sitter Broc Parkes claimed third with Barry Veneman an impressive fourth onboard his Hoegee Suzuki. Craig Jones continued his good form in fifth with Vesa Kallio using his local knowledge to secure sixth. SC Triumph rider Garry McCoy was airlifted to Brno hospital after touching another rider which forced him off track and into the tyre wall. The Australian star is reported to have a number of broken ribs, which have caused damage to his internal organs. A full diagnosis is expected from the hospital this afternoon.